The temperature is heating up, and your kids are spending more time outdoors. They’re sweating; they’re swimming. They need extra sun protection—and so do you! The sun’s ultraviolet (UV) rays are at their strongest during the summer, and unprotected skin can be damaged in as little as 15 minutes. While applying a SPF (sun protection factor) 30 sunscreen is important throughout the year, taking extra sun-safety precautions during the summer is especially important. Don’t pull a Tanning Mom on us. Try these tips on your next family trip to the beach, pool, playground, ballpark or amusement/water park. 1. 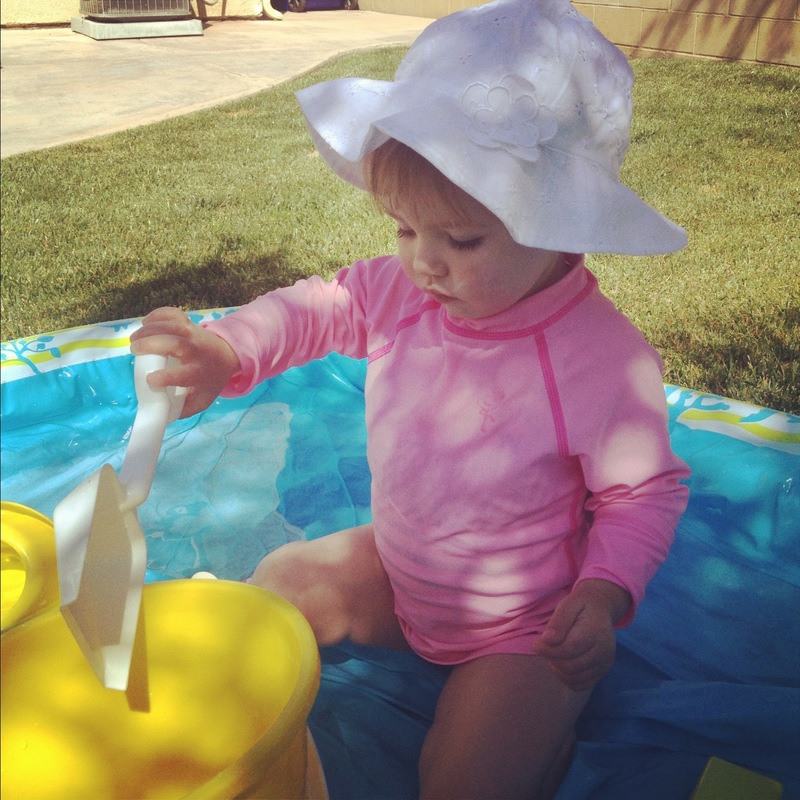 Sunscreen- Kids who are sweating or swimming need to reapply sunscreen more often. Remember that water, snow and sand can reflect UV rays and increase your child’s sun exposure and chance of getting a sunburn. A sunscreen with an SPF of at least 30 protects the skin from the sun. Apply one ounce of sunscreen (about the size of a ping pong ball) to all sun-exposed areas of the body. Don’t forget the ears, feet and behind the neck. Because sunscreen can take up to 30 minutes to go into full effect, it’s a good idea to apply it at home before you drive to the pool or beach. 2. Lips and Eyes- Choosing the right sunglasses, hat and lip balm also can provide added UV protection for parents and kids. Apply a lip balm that offers SPF protection and reapply throughout the day. Choose wrap-around sunglasses that absorb at least 99% of UV rays to protect your eyes and the skin around your eyes. Choose a hat with a wide brim to give as much sun protection as possible. 3. Wear sun-protective clothing- While most people usually know to use sunscreen and sunglasses, few are aware of the availability of sun-protective clothing. Many companies offer a variety of sun-protective clothing with as much as ultraviolet protection factor (UPF) 50. UPF indicates how much UV radiation can penetrate the fabric in clothing. For example, a shirt with UPF 30 means that just 1/30th of the sun’s UV radiation can reach the skin. 4. Find or make shade- It’s always a good idea to have a place where you and your family can find shade from the sun. Plan ahead. Seeking shade is especially important between 10:00 a.m. to 4:00 p.m. when the sun’s ultraviolet (UV) rays are at their strongest. When outdoors choose parks with a covering over playgrounds, cary a large umbrella to the beach, put a tent up if you have space, or choose seating areas near trees. Summer is a gorgeous time of year, especially here in Southern California. We’re not asking you to become a hermit when it comes to summer time. Practicing these Sun safety tips will keep your family happy and healthy. Who likes dealing with a painful sunburn anyways? 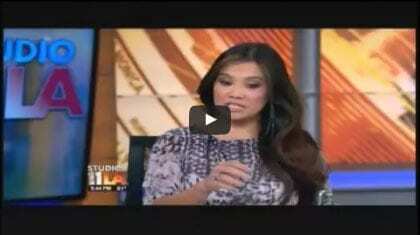 This entry was posted on Wednesday, May 23rd, 2012 at 10:24 am	and is filed under Skin Cancer, Skin Care. You can follow any responses to this entry through the RSS 2.0 feed. You can leave a response, or trackback from your own site. Happy Monday Everyone! Let’s kick of this week with a great giveaway. 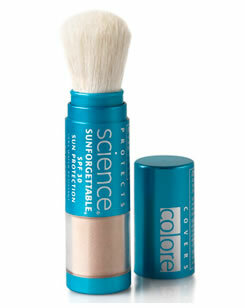 Today’s giveaway is for a Colorescience Sunforgettable Mineral Powder Sun Protection SPF 30, your choice of color. You will hear us talk about reapplying sunscreen to get the best sun protection but as women it is tough to reapply sunscreen later in the day after you have make-up on. A great option for reapplication is the Colorescience Powder Sun Protection. You can put it on right over your make-up any time of the day. Description from Colorescience website: Sunforgettable SPF 50 is a lightweight mineral powder with a barely there feel that provides a safe, non-irritating, instant UVA and UVB sun protection. The self-dispensing powder brush makes this sheer formula easy to apply and reapply throughout the day. This giveaway is a $50 value. To enter giveaway just leave a comment telling us you are going to do this summer to stay sun safe. Giveaway ends Thursday, June 23rd at midnight PST. Winner is chosen randomly and will be announced Friday, June 24st. Good Luck! 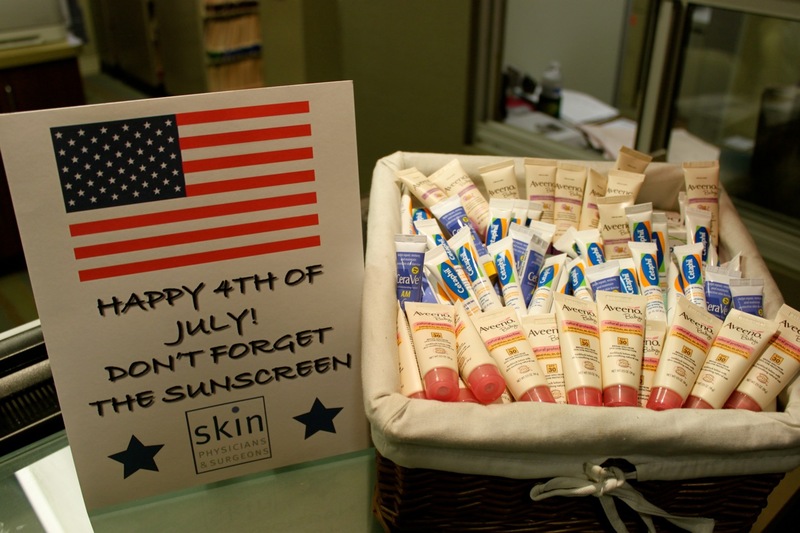 This entry was posted on Monday, June 20th, 2011 at 6:07 pm	and is filed under Skin Cancer, Skin Care. You can follow any responses to this entry through the RSS 2.0 feed. You can leave a response, or trackback from your own site. « “We’re not worthy” Basing your self-worth on facebook? SUNSCREEN! SUNSCREEN! SUNSCREEN!– did you need me to say that again? Regular use of a good sunscreen is key to preventing skin cancers and sun damage. SPF (sun protection factor) which is what we all look for in sunscreens, only refers to our protection against UVB rays, but we now know what UVA rays are just as dangerous to our skin. We recommend a sunscreen with broad spectrum coverage (i.e., blocks both UVA & UVB rays). UVA rays penetrate deeper into the skin and cause wrinkling and skin cancers. Look for ingredients such as zinc oxide or titanium dioxide to be assured that you are properly protected. PHYSICAL PROTECTION- UV rays are at their strongest between 10am-4pm. If possible try avoiding direct sunlight during these hours. Enjoy the warm summer days while sitting under an umbrella or cabana while sipping your beverage of choice. Unable to seek shade during the day? 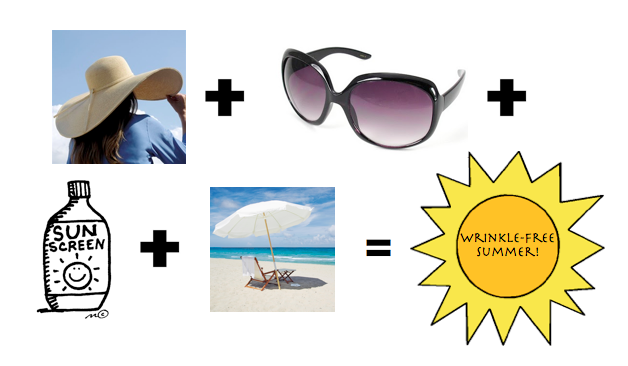 Choose a fabulous wide-brimmed hat, a pair of large sunglasses and a light weight cover-up for extra sun protection. FAKE IT TILL YOU MAKE IT- Sunless tanning has come a long way. No need to worry about looking like Snooki when you step out of the spray booth. Mystic Tan, a popular spray tan machine, offers a very light formulation perfect for spray tan novices. Also, tanning lotions are great because they allow for a gradual natural looking glow. This entry was posted on Wednesday, May 25th, 2011 at 6:11 pm	and is filed under Skin Cancer, Skin Care. You can follow any responses to this entry through the RSS 2.0 feed. You can leave a response, or trackback from your own site.